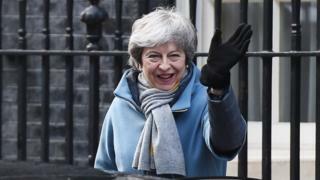 The Commons will vote on her withdrawal agreement by 20 March, after previously rejecting it by 230 and then 149 votes. On Thursday, MPs voted to ask the EU to delay Brexit beyond the current 29 March departure date. European Council President Donald Tusk said EU leaders could be open to a long extension “if the UK finds it necessary to rethink its Brexit strategy”. Over the past week, a series of Brexit votes have taken place in the Commons. On Tuesday, MPs rejected Mrs May’s withdrawal agreement for a second time. On Wednesday, MPs voted to reject the idea of the UK leaving the EU without a deal under any circumstances. However, that vote was not legally-binding – and under current law the UK could still leave without a deal on 29 March. Then, on Thursday, the Commons voted by 413 to 202 to seek an extension to Article 50 – the legal mechanism by which the UK is due to leave the EU. Any delay will require the agreement of all other 27 EU members, with talks about possible conditions for an extension to take place before next week’s EU summit, which begins on Thursday. If MPs approve Mrs May’s deal before the Brussels summit, she could ask the EU to delay Brexit until 30 June. It is still technically possible that we could leave the EU at the end of this month – the law has not changed. Thursday’s vote was awkward for another reason, as it again displays the Conservatives’ fundamental divisions. The past week’s votes have exposed divisions in the UK’s two largest parties. Downing Street said this was a “natural consequence” of Mrs May’s decision to offer a free vote on an issue where there are “strong views on all sides of the debate”. 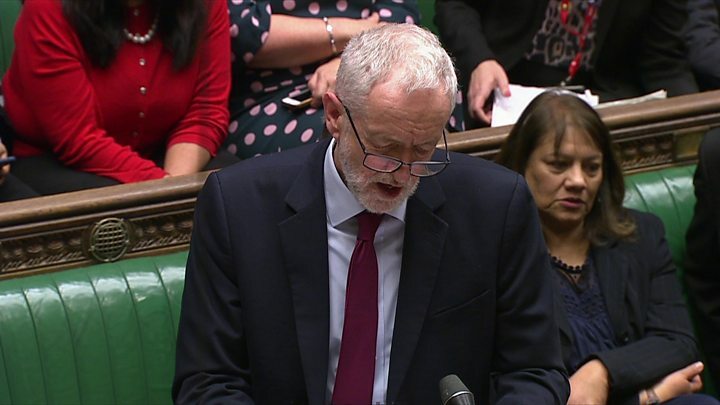 And in the Labour Party, 41 MPs rebelled against party orders on Thursday to abstain in a vote on a possible new referendum – with 24 supporting a referendum and 17 voting to oppose one. Five of those MPs have resigned from their roles in the party as a result.